There are few moments in life where both extreme pride and sorrow are felt simultaneously, but families who are presented with a burial flag in honor of a veteran, and especially of a soldier who has lost their life in battle, know this feeling all too well. 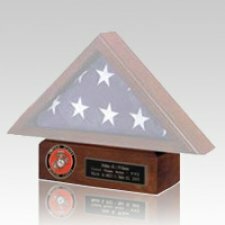 For these families who have been presented a burial flag in honor of a veteran or soldier lost in active battle, there are several options to preserve, and if desired, display the flag. Flag case accessories give us the ability to dress up our existing flag cases, as well as offers several different options for showcasing a flag, adding memorable keepsakes to a service, or even displaying awards that were presented to the veteran or soldier. 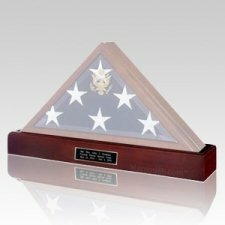 There are several flag display options, and with these beautiful accessories you can rest assured that the flag case will be personalized to suit the person to whom it pays tribute to. 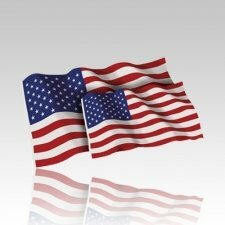 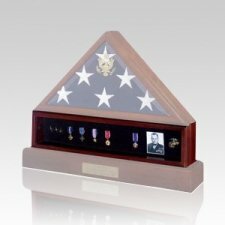 A beautiful flag pedestal helps showcase a flag case for those who do not wish to display the case hung on a wall. 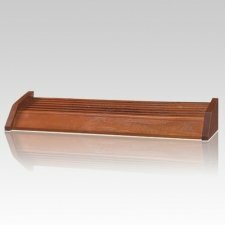 These beautiful pedestals are available in a choice of wood as well as with a free engraved plaque, and some of them even hold a set of cremated remains which provides a beautifully discreet combination. 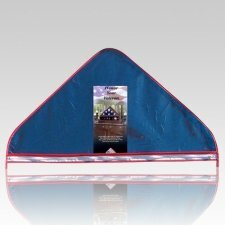 For those who are planning to travel with the flag, or need more time to select a case they feel is appropriate, there is a vinyl flag storage cover which provides lightweight and long lasting protection for any flag. 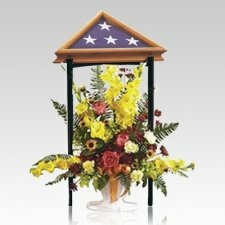 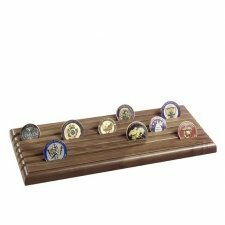 A flag case stand will provide a beautiful presentation that is perfect for memorial service as well as display in the home. 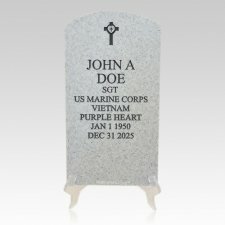 A military photo touch stone can be personalized with a military insignia as well as the photo of the lost veteran or soldier, and will become comforting remembrances that can be handed out to friends and family members. 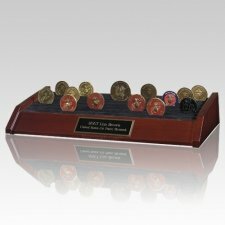 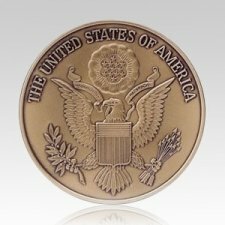 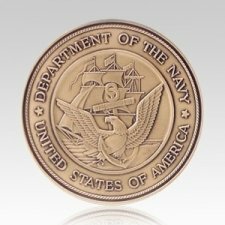 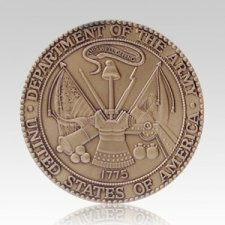 The honor pins and coin medallions, which can be beautifully presented on any of the coin display racks, also offer beautiful keepsakes that will be a token of comfort and remembrance in honor of the fallen hero. 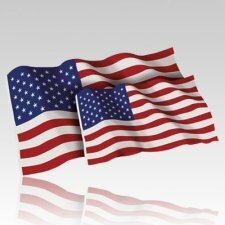 Even offered are both standard and burial size American flags, for families who wish to share a remembrance of their soldier or wish to create more than one tribute in their memory. 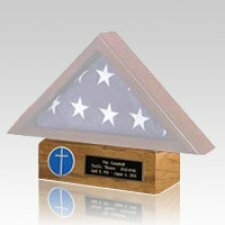 Creating a beautiful and appropriate tribute to a fallen soldier can seem like a daunting task, but with the variety of options available through Memorials.com, there are several ways to create a memorial that will be a beautiful remembrance that anyone can be proud of. 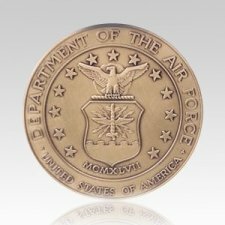 "I thought wearing my Mom's ashes around my neck might be somewhat morbid but it turned out to be a great comfort. 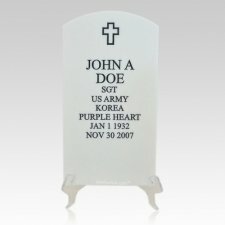 The glass pieces are beautiful; no one knows what is in them if you don't tell them. 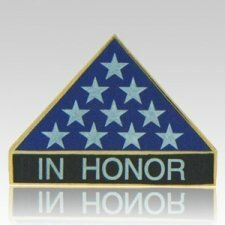 When I wear it, I find myself rubbing the glass and feeling my Mom close to me. 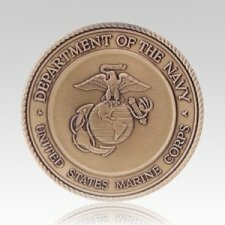 Thank you for the care you took in creating them and the serenity they bring to us."